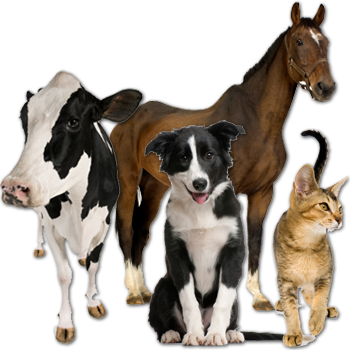 Our practice was established in 1976 as a mixed animal veterinary facility. Forty years later, we continue to provide care and treatment to a wide range of animals including dogs, cats, horses, cattle, and small ruminants. Each member of our group of veterinarians has a passion and a focus on specific areas of veterinary care, combined with a broad ability to care for multiple species. As a team, we are able to collaborate with each other on more challenging cases when required. This allows us to deliver the most effective care possible to each and every case we encounter. We are located at 40 Rigney Street in Kingston, Ontario. Our small animal patients are cared for at our CVO accredited, full service hospital. Large animals including horses, cattle, and small ruminants are primarily served by our fully stocked mobile units. We also have an accredited equine clinic area, that allows for certain in hospital procedures and treatments when needed. Boarding services are available in clinic from Monday to Friday. If weekend or long term boarding is required, we recommend Barriefield Animal Hospital. Professional pet grooming services for all breeds of dogs and cats are provided on site by Pat Graham and Bev Mills. We have two of the few pet groomers in Kingston willing and comfortable with cat grooming. Our team of veterinarians includes owners Dr. Ken Hammond and Dr. Phil Ball, as well as associates Dr. Barb Weselowski, Dr. Charlotte Macdonald, and Dr. Peter Oddie. We provide ambulatory care for large animals 24 hours a day, 7 days a week. 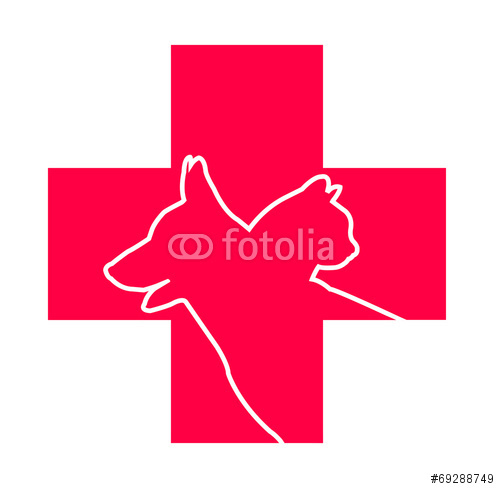 If you need a veterinarian, call our regular number at 613-546-1747.